On a bright morning in Alameda in early May, a bluegrass band plays to about 30 people in sun hats and T-shirts. The crowd is here to tour a native plant garden, but the music commands most of the attention. The four-piece band exchanges virtuosic solos, and the crowd responds clapping along. But one look would tell you this group isn’t an ordinary bluegrass band. Daisy Kerr is 11 years old. She’s slight, almost dwarfed by her adult-size Martin D-28 guitar. On either side of her stand Miles and Matteo Quayle. Miles is 12, and an accomplished fiddle player. His brother, who goes by Teo, plays the mandolin. Andrew Osborn, 13, stands tall behind Daisy and Miles, easily handling his stand-up bass. Despite their mature sound, none of them have started high school yet. The most surprising thing about the members of this band isn’t their age. It’s that four California youngsters have dedicated themselves to a genre more closely associated with Southern old-timers. Most of the Minors have been playing since they were big enough to hold an instrument, but they mostly played with their families and music teachers. So, when they found other kids who loved bluegrass as much as they did, they were pretty excited. 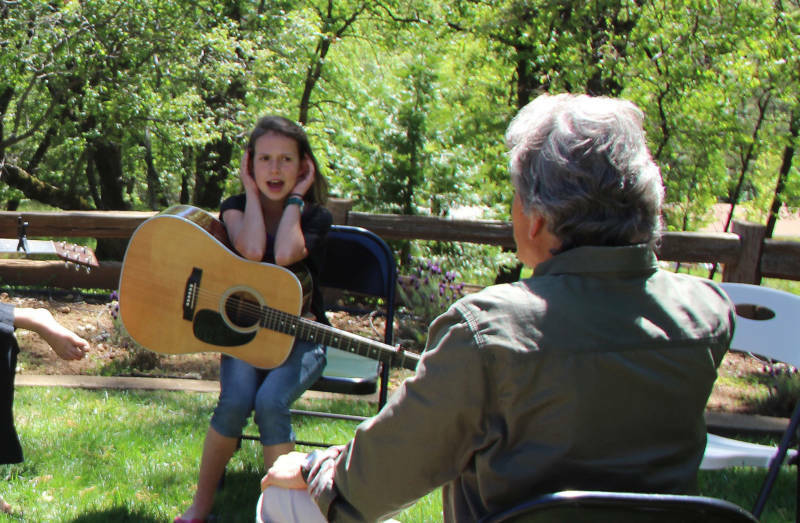 It all started in 2014 at the Father’s Day Bluegrass Festival in Grass Valley. 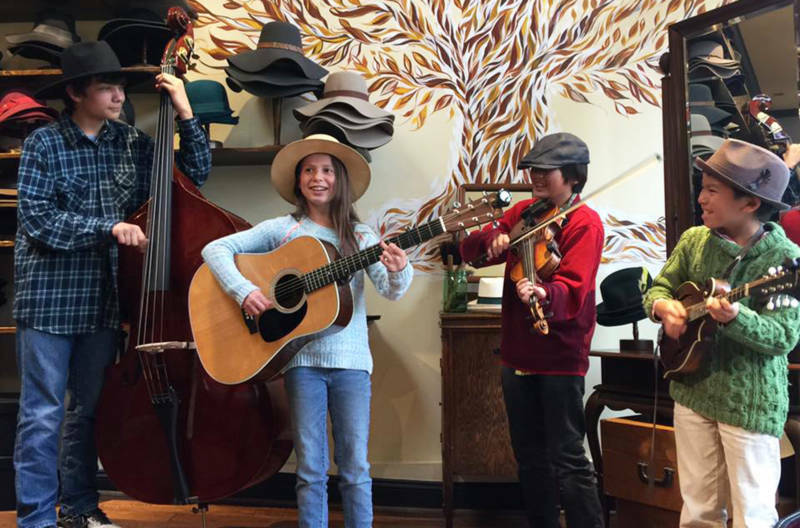 The four Minors, along with former bandmate D’Jango Ruckrich, met through the festival’s Kids on Bluegrass program. The following year, Miles and Teo’s mom, Maria Quayle, arranged a meetup with D’Jango’s parents, and Daisy joined in. They jammed together for the first time at the festival campground, surrounded by pine trees, tents and pickup trucks. Quayle remembers her boys’ excitement. 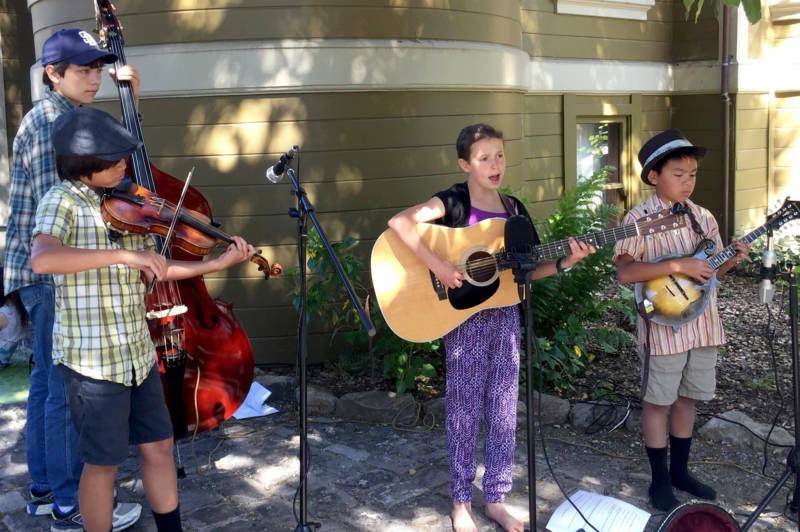 Before they even had a band name, they scored their first gig, performing at a harvest festival at Full Belly Farm in Yolo County. Since then, they’ve played all kinds of shows -- at festivals, on radio stations, even opening for award-winning fiddler Michael Cleveland. But they still needed a bass player, and Andrew was a perfect fit. He’s been providing the rhythm and the bass since February. The group is busy practicing for a triumphant return to the stage at the Father’s Day Bluegrass Festival the weekend of June 16. They’ve been invited to perform on one of the big stages, only one year after the group first jammed in the campground. Teo is excited. “It feels actually really good to be onstage. It feels like a big accomplishment,” he says. Beyond the upcoming performance, the group has other dreams. When asked where he’d like to see the Rambling Minors go, a smile breaks across his face. “The Grand Ole Opry,” Teo says.